The East Bay Area is a place rich in culture, natural beauty and exciting destinations. Just across the Bay from San Francisco the East Bay attracts visitors from around the world and is a place many people proudly call home. Largely considered the heart and soul of the Bay Area the East Bay is a place not to be disregarded nor misunderstood – it is a place to explore and experience. We at Apex Luxury Transportation are proud to be an integral member of the larger East Bay community. 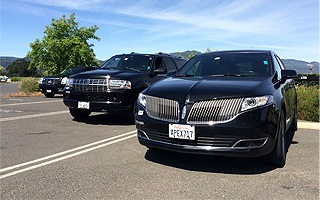 With a long track record of experience and expertise our East Bay limousine rentals, sedan and other luxury transportation services are considered the best in the East Bay. Our commitment to providing the best possible limousine services in the East Bay are our top priority and set us apart from other limousine service providers. At Apex we offer visitors and residents of the entire East Bay a plethora of different luxury transportation services. While we have a fleet of sedans and SUVs we specialize in East Bay limousine services. Our Apex luxury limousines are the best in the East Bay and have helped us develop a dedicated client base in the East Bay. Our limousines are top models and beautifully adorned with leather interiors, full surround sound that our clients control at all times and a bar with delicious drinks to choose from. Our limousines are consistently assessed to ensure the safest ride every single time. When utilizing our East Bay limousine services, you will always be happy to be in the hands of one of our professional limousine drivers. Each one of our limousine drivers are professional and timely. Our limousine drivers are the best in the business because they know the East Bay like the back of their hands. Our clients are always satisfied by the professionalism and knowledge of our limousine drivers. Their dedication to the profession makes your experience with Apex that much better every single time. We offer our East Bay limousine services for any occasion as well as anywhere within the East Bay. Limousines are an exceptionally popular form of transportation because they turn a normal car ride into a luxurious experience. 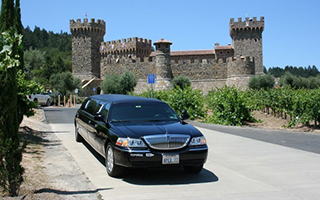 Some people utilize our East Bay limousine services for the most special occasions. For example, our limousines are popular for weddings. When you and your partner to be are planning your wedding in the East Bay, our limousine rental services are a perfect addition. We work directly with you to ensure that our limousine rental services adequately compliment your special day. 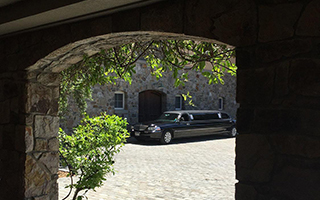 We work from your wedding day itinerary and ensure that our limousines and limousine drivers are fully prepared to help make your East Bay wedding as special and luxurious as can be. Our limousine services are also perfect for a night out on the town with friends, family or business clients. With the rich and developed scene of restaurants, entertainment and bars throughout the entire East Bay our limousine services are perfect to take a break from the normal work week or a fun adventure on the weekends. Berkeley, Oakland and Walnut Creek among other East Bay hotspots are perfect destinations for you and your family or friends to go out for a night on the town. Our limousines add a luxurious element to a normal evening and help you get to your destinations safely. For our clients who want to explore corners of the East Bay they have never seen before our knowledgable staff will gladly develop a unique itinerary that matches exactly what you are looking for. We know the best restaurants and bars throughout the East Bay and will help you discover delicious and exciting destinations you will love. 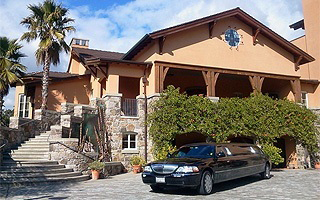 Our limousines services also specialize in taking residents of the East Bay to and from the incredible Napa Valley. 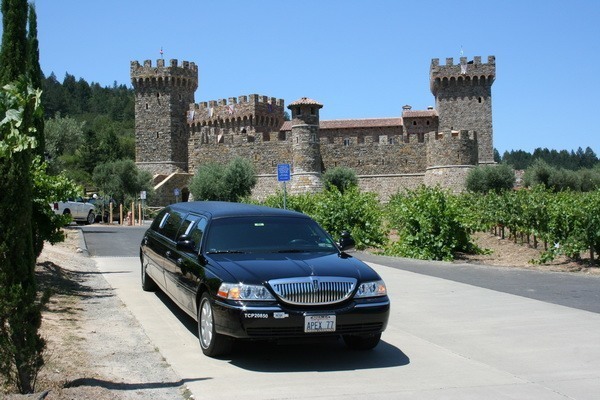 Our Napa Valley limousine winery tours are considered the best in the East Bay and our loyal client base raves about them. We take people from anywhere in the East Bay to the wineries of their choosing in the Napa Valley. With such a close proximity to the best wine producing region in the United States it is no wonder that so many East Bay residents rave about this service. 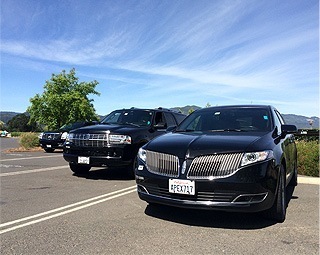 Our beautiful limousines will pick you and your party up anywhere in the East Bay and whisk you away to the best wineries in the Napa Valley. We are also a favorite among parents and high school students. We offer comprehensive junior prom and senior ball services to our clients. Our commitment to safety and reliability make our limousine services a favorite for East Bay high schools. We ensure the safety of the students we serve the entire time. Our limousine services are available for any and all events in the East Bay – birthday parties, sporting events, business events, concerts and everything in between. No matter what you are looking for Apex's wide range of luxury transportation services can accommodate. Our limousines vary in size and can help turn any event into a special event. We promise that when you decide to work with us you are not just making a decision about what type of transportation you want to use – you are making a decision about what kind of experience you want to have. So please for any and all of your East Bay luxury transportation needs give us at Apex a call and we can help make your night something special. Your event memorable. Your transportation an experience. Call us today. What are you waiting for?